Sakai Hidaka shonen shizen no ie (Municipal Nature House for boys). The Osaka YMCA has a Japanese language course and professional school targeting foreign students who have come to Japan for career development. The program is to assist students aspiring to gain better Japanese proﬁciency and deepen their knowledge and communication skills. This program helps prepare students for Japanese university, employment in Japan, and fulﬁll their dreams as they develop and mature.! Target: students desiring to learn Japanese professionally for work and life in Japan. YMCA offers a variety of courses for working people: English Graduate Course - helps students attain an advanced level of English. Social welfare courses - provides students courses in nursing staﬀ training, mobility support and travel assistance training, and care-worker practitioner training. The only international school in Osaka city accredited by both WASC, the American accreditation association, and the International Baccalaureate (IB, PYP). 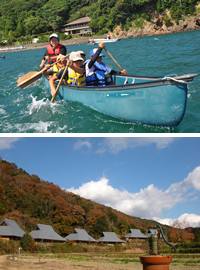 YMCA International School, a program grades K-8, is also fully recognized by Osaka prefecture. Diversity in the student body provides a beautiful environment for children to not only play with children from different backgrounds, but it also allows them to learn about cultures and languages in a natural manner. This is global education and children readily adapt to it. Saturday school and intensive programs are offered here, as well. The quality childcare provided in English, enables children to live in a global environment. In conjunction with the Language Center and International schools, The Osaka YMCA is preparing its students be eﬀective in their English communication. YMCA has accredited schools and correspondence schools for high school students. YMCA oﬀers a variety of classes for junior high school drop-outs. The motto of these courses is: At YMCA, you can ﬁnd a safe place and safe relationships. Life-long friendships. A place where everyone ﬁnds respect. As young people value these traits, they grow and develop rich character. YMCA Gakuin High School ‒ this correspondence course places emphasis on three main aspects - the heart, the body, and career guidance. Young people attend this daytime school with a relaxed mind as the school aims to provide a safe environment for study and growth. This school emphasizes the need for English in networking and global education. This is a place for junior high school drop-outs Education Center (development counseling and consultation) Support and counseling is available for the children and their family members. We support children with learning disabilities, those on the high functioning end of the autistic spectrum, and their families. These children tend to fall behind in school. Their needs are varied, but desiring to assist them, we oﬀer consultation for parents, speech therapy, academic assistance, social skills training, gymnastics and outdoor activities. With a history of over 100 years of English language instruction, English is still the primary language taught at the YMCA. However, YMCA now offers the additional language classes: Korean, Chinese, Spanish, Swahili and Thai. YMCA will instruct anyone ‒ young or old, with the hope that each person will feel that they are citizens of the world and are learning to communicate more successfully. YMCA preschools aim to raise children based on the principles taught in the Bible: 1) to develop a heart rich in character and 2) to develop a thinking mind. These will lead to balanced growth as a human being. The YMCA has also developed some original “peace” and “global” courses. Adult Fitness In order to make long, healthy living a reality in our society, YMCA provides the following ﬁtness facilities and options for adults: a pool, an exercise studio, a gym, weight machines, and classes such as Tai Chi and Hula. ■Sports Program : Pool, ﬁtness studio, gym, Tai Chi, ﬂamenco, Hawaiian dance, etc. ■Seniors Program : a variety of year-round courses oﬀered to seniors aged 50 and older. Camping facilities situated in areas rich in nature take full advantage of the ocean, forests and mountains. The outdoor facilities and programs are designed for the enjoyment of a wide range of users: school groups, youth organizations, company training and education, family trips and leisure groups. ! Facilities and programs for the middle-aged and elderly In order for individuals to shine, they need to feel comfortable with themselves and at peace in their environment. They need to consciously seek and make an eﬀort to be healthy. 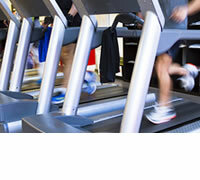 YMCA oﬀers support classes to help individuals make a healthy new start. ■　Sun Home : nursing home, day service, short-stay, nursing care for the elderly. YMCA has 13 rooms available for rent: rooms for conferences, lectures, research gatherings, and also for varied types of guests, multipurpose rooms and a workshop. Rooms range in size: small, medium and large, and are available for groups of 10 ‒ 500 people. You can ﬁnd a room that perfectly suits your needs. ■　Sakai Hidaka shonen shizen no ie (Municipal Nature House for boys). ■　Kisen Wai Wai village.